Black (22GR)SS (56GR)SS 75GR .228"SS 75GR .221"SS 75GR .215"
Arrow length is measured from back of point (where the head screws in) to throat of nock (groove where string sits). Please enter a value between 0 and 999.999. Complimenting the Valkyrie Archery System is the micro diameter Valkyrie Reign Arrow shafting. 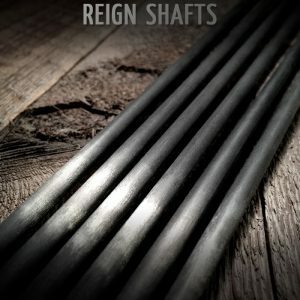 Our 100% Hi Modulus carbon shafting provides superior stiffness to weight ratios allowing us to maximize our weight forward design without causing excessive overall arrow weight. 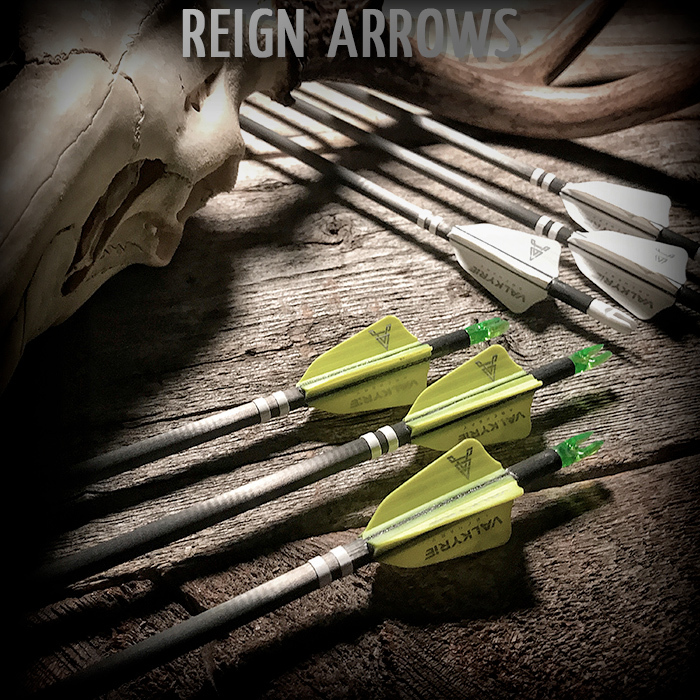 This gives the archer all of the stability and accuracy of an extreme weight forward arrow without sacrificing substantial trajectory. Our patent pending Viking Centerpin System allows us to use higher modulus carbon without sacrificing strength up front, in fact our arrow system coupled with the Jagger Broadhead is guaranteed against impact failure on big game animals, its just not going to happen.